Food is also an important indicator of place, time and culture. Therefore, writers can’t afford to be sloppy when it comes to literary diet. Readers are ready to cry foul when they spot a food-based blunder. For example, a friend recently complained about a scene in a novel where the main character, supposedly a New Orleans native, prepared coffee. Herself a native, she claimed no one in the Big Easy would make coffee that way. I recently went through a delightful BBC TV series called “Supersizers.” During the course of each episode, the hosts, Giles Coren and Sue Perkins, would spend a week living and dining according to the customs of a given time period. Done with tongue-in-cheek humor, the hosts were nonetheless quite serious about being authentic, particularly in terms of cuisine. I highly recommend this series to readers and writers of historical fiction. It’s easy to glamorize the past, but it’s the elements of realism that make a story come to life. One awful reality the Supersizers had to face was not drinking water for a week. Instead, they had to subsist on wine and beer. Imagine that. Now, write about it. “Supersizers” is available on Hulu Plus with a paid subscription. You can also find several episodes on the Supersizers YouTube Channel. 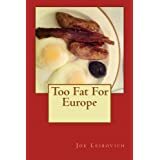 Today on Amazon, I found a free-for-now book about First Century food. It looks really interesting, great for readers and writers interested in that time period. Relying upon the Bible and extensive research for his popular Seeds of Christianity™ Series, E. G. Lewis presents an interesting and informative study on foods, cooking and day-to-day life in the early Christian era. All major food groups are covered with specific chapters on Spices & Herbs, Fruits & Nuts, Grains, Vegetables, Salad Greens, Fish & Fowl, Meat, Milk & Cheese, Sweets and Sweeteners, and even one on What They Didn’t Have. Includes bonus chapters on Aviculture, Apiculture, Ancient Beers and Wines, Olive Oil, Manna, the Gladiator’s Diet and lots of Recipes you can try at home. 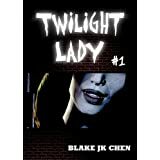 I found this book via Amazon’s Kindle eBooks store. Resources for free Kindle and other format eBooks are listed in my sidebar. This freebie is a limited time offer and there is no guarantee it will still be free when you click on the link. Grab it sooner rather than later. I’m sorry to have neglected my blog for so long. I took a short trip that wound up being longer and involved business, pleasure and helping out a friend. With that in mind, I thought I’d write a bit about the travel genre. Travel writing can be divided into two equal parts, travelogues and guidebooks. A travelogue describes a person or persons’ adventures away from home. The best travelogues are written as creative nonfiction and read like a novel. This means the narrative should involve conflict and resolution as well as character development. The narrator who begins the journey should be changed by their experiences, just as one would expect from a character in a novel. Guidebooks are pretty self-explanatory. They are the what-when-where-why-how of travel. A good guidebook can spare you a lot of confusion and loss of time, whether you’re traveling to a nearby city or a distant continent. Guidebooks point out the major and minor attractions, as well as clue the reader in on culture, currency, nightlife, restaurants and hotels. Note: no book will be completely accurate on a currency’s rate of exchange. The XE Currency Converter is a good web resource for getting the latest rate of exchange. I highly recommend watching the TV show, “Globe Trekker.” It’s half-travelogue and half-guidebook as different narrators takes you on personal journeys to lesser-known worldwide destinations. It’s the one show that really gives me the travel bug. 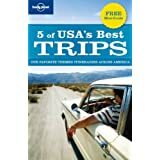 Below I’ve listed some travelogues and guidebooks that are free-for-now on Amazon. Happy trails! Planning a trip to Europe? Know before you go! 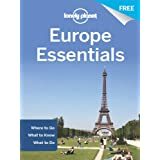 Download a free copy of Lonely Planet’s Europe Essentials and receive helpful tips on packing and planning, etiquette advice, transportation information, themed itineraries, and much more. It’s the perfect complement to Lonely Planet’s guidebooks and a great starting point to a dream vacation. Whether you’re a local looking for a long weekend escape, or a visitor looking to explore, Lonely Planet’s TRIPS series offers the best itineraries – and makes it easy to plan the perfect trip time and again. Explore Britain’s rich and varied history with this ultimate guide to the best historical things to do throughout England, Scotland and Wales; includes author- recommended reviews and practical information on a wide-range of interesting options from fascinating pre-historic sites such as Avebury to excellent modern museums such as the Museum of London. 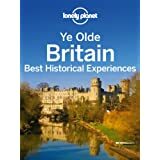 This guide has been created by Lonely Planet’s dedicated authors and local experts who immersed themselves in England, Scotland and Wales, finding the best historical experiences and sharing practical and honest advice. Down Under All Over is more than a travelogue. 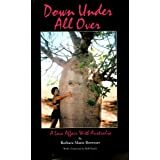 It is an account of Barbara Brewster’s very personal journey—one which entices us to follow along in her footsteps through that fascinating land of Australia. Her account of the adventures she and her husband, Sid, shared invites one to crawl under the skin of the land and to know its colloquialisms and people. Brewster’s enthusiasm for the place is contagious. A hilarious travelogue through Europe featuring the adventures of two comedians, who happen to be married. Follow their whirlwind tour of London, Paris and Rome…all in about a week. A graphic novel is a book length story or anthology told primarily with illustrations. The genre includes a number of different formats. A graphic novel can be a compilation of previously published comic books that contain a story arc. It can also be an anthology of complete or continuing stories. These stories can be original to the anthology or previously published in comic book or magazine form. A graphic novel can also be an original novel or series of novels that may or may not have been previously published in another form. Some people believe graphic novels are glorified comic books and, in certain cases, they’re right. However, many graphic novels contain rich stories greatly enhanced by the use of illustration. Graphic novels aren’t just for people who want something easy to read with lots of pictures. The genre has gained respect over the years and graphic novels have won prestigious awards, including the Pulitzer Prize. In terms of story, graphic novels tend toward speculative fiction. A fair number could be considered literary fiction. “Maus” by Art Spiegelman is a memoir of his parents, both Holocaust survivors, and his own youth as he struggles to understand them. In a whimsical yet controversial touch, Spiegelman portrayed Jews as mice, Germans as cats, Poles as pigs and Americans as dogs. “Maus” was first published in serial form in the underground comic magazine, “Raw.” It won numerous awards, including the Pulitzer Prize in 1992. Other graphic novels have been praised and awarded for literary as well as artistic achievements. “Persepolis” by Marjane Satrapi tells the author’s coming of age tale in revolutionary Iran. “American Born Chinese” by Gene Luen Yang uses myth and stereotypes to tell an outsider’s story. “Ghost World” by Daniel Clowes portrays the confusion and alienation of post-high school teens trying to find their way in the world. Super hero-style comics are a popular genre for graphic novels. Go into any good comic bookstore and you’ll see multiple shelves of these books, which are often purchased by readers more interested in the story and the characters than in collecting individual comic books. Well-known authors include Alan Moore (“Watchmen,” “The League of Extraordinary Gentlemen” and “Batman: The Killing Joke”), Neil Gaiman (“The Sandman”) and Frank Miller (“Batman: The Dark Knight Returns,” “300” and “Sin City”). Like regular novels, graphic novels have well-established publishing houses such as DC and Marvel. There is also a strong tradition of independent publishing known as underground comics. Edgy and unrestrained, these comics can occasionally gain wide audiences. Bryan Lee O’Malley published his “Scott Pilgrim” graphic novels with Portland, Oregon-based Oni Press. The series gained a cult following, sold millions of copies and was adapted into a movie and a video game. A growing number of graphic novels are being adapted into electronic format. In my opinion, these are better viewed on a tablet or computer screen rather than a conventional eReader such as the Kindle. 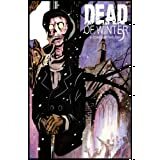 Below, I’ve listed several free-for-now graphic novels available in the Kindle store. Introducing a unique new heroine to the world of illustrated fiction! Paranormal journalist and truthseeker Rona Eden has a close encounter with a mysterious hooded lady who appears to have killed several people in Detroit’s Cass Corridor neighborhood. He wanted to change the past, but first he would have to alter the future…A new deadly drug is about to flood the streets of New York City. The police have no leads on who is producing the drug, or where it is coming from. 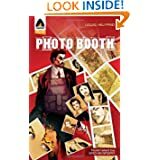 As far as Praveer Rajani, a wreckless Interpol agent, is concerned – the only way to prevent countless deaths lies in a handful of mysterious photographs.Within the photographs, Praveer can see images of places he has never known, and people he has long forgotten. But what are the photographs leading him to? Horror Stories With The Setting of Winter. MEET JANE DAY. She’s a twenty-something temp-by-day, detective-by-night… and sometimes also by-day. Jane lives inside her head as much as outside of it. To fight the mundane (and even not so mundane), she retreats to a fantasy world in her mind wehre the pop-culture references are plentiful and comforting. 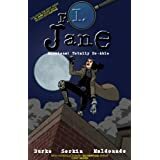 Follow Jane in her private detective salad days surveilling Lindelof & Lindelof heir, Chad Lindelof, Jr. She’ll learn the ropes working undercover to bust the shady, bootlegging Li’l Susie Bees, and solving the mystery at the roller derby. Then she takes a breather and reads about her favorite comic strip, PIE V. CAKE. So, let’s say you are a creative person with plenty of inspiration and original ideas. The words flow like a waterfall from your brain to your fingertips to the page, right? Writing is hard, whether you’re full of ideas or struggling to come up with one. Writing is also a solitary endeavor. Even if you belong to critique and support groups, attend literary salons and poetry readings, and write in a café surrounded by other writers, the only person who can tell your story is you. For example, here is the affirmation for today. I don’t know the key to success, but the key to failure is to try to please everyone. If you’ve been in a critique group, you know how true that is. It’s good to be reminded as you write that what you write won’t be to everyone’s liking and that’s all right. Other quoted writers include Michael Crichton, Julia Cameron and Anne Lamott. It’s free-for-now, so don’t miss out on these inspirational sparks. Writing Conversations is about the daily life of the writer. How do you keep motivated in your craft when it’s just you? Spend a moment of each day listening to the voices of your favorite connoisseur of the writing craft. Learn what they know about how to become a successful author. Whether it’s the first line, the last line, how to find an agent or how to publish, it’s all here. Learn how to launch the bestseller that’s been incubating inside of you for so long. 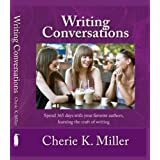 Writing Conversations has just what you need! While I was researching my posts on fan fiction and derivative fiction, I came across two schools of thought. People writing fan and derivative fiction do so because they have no original ideas. People might as well write fan and derivative fiction because there are no original ideas. The first thought is on the sour side. And does anyone really want to tell Neil Gaiman that his Doyle/Lovecraft pastiche, “A Study in Emerald” is the work of an uninspired mind? I prefer to concentrate on that second school of thought because it reminds of a certain trope: there are only seven basic plots in literature. If you’ve taken a creative writing class, you’ve probably heard some variation of this. I learned these seven, which are attributed to Sir Arthur Thomas Quiller-Couch. If you’re feeling worried and/or smug that your plot doesn’t fit into either of these groups of seven, keep in mind that most stories use combinations of these plot elements. Here are some articles with more in-depth explanations. The Plot Thins, or Are No Stories New? So, do we throw away the idea there are any original ideas? Of course not. Every person has their own take on a given situation and their own stories to tell. You may have heard another trope: it’s impossible to create in a vacuum. In order to be creative, you need inspiration. What inspire us are our world and the stories we hear. We take what captures our imaginations and turn them into original stories. For example, George R.R. Martin’s wildly successful series, “A Song of Fire and Ice” was inspired by the English civil war know as the War of the Roses. Lannister and Stark = Lancaster and York. Students of history will see the similarities, yet the world Martin created is very different than that of medieval England. My novel, “Fake” was inspired by wuxia, the literature and cinema of Chinese martial arts. I incorporated some common elements of this genre, such as the Beggar Clan, and created some of my own. My love of Irish music led me to discover the world of Irish Travelers, a nomadic people who are not related to the Romany. I created my own nomadic people, Strowlers. While based on Travelers, there are also key differences. Putting the two worlds together makes for a unique combination that is all my own. Neil Gaiman took Sherlock Holmes and put him in H.P. Lovecraft’s London. The movie, “The Banquet” took Hamlet and placed him in imperial China. As an exercise, think of a character or real person who captures your imagination and place her in another world. Be inspired, creative and make it your own. “A Study in Emerald” is available online for free, formatted and illustrated in the style of an early 20th century newspaper. 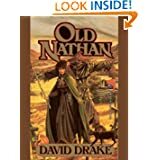 Speculative fiction author David Drake took a familiar archetype, the grumpy old wizard, and placed him in post-Revolutionary War America. You can pick up the free-for-now eBook from Amazon. The forces of evil are poised to prey on the folk of the hamlets and hollows: witches, demons, and red-handed men—but first they’ll have to overcome Old Nathan the Wizard. He doesn’t claim much for his magical powers, but they’re real enough for what they are—and besides, he hasn’t forgotten how to use his long flintlock rifle… Enter the gritty, realistic world of Old Nathan, a backwoodsman who talks to animals and says he’ll face The Devil himself-and who in the end will have to face The Devil in very fact. 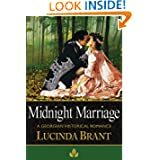 Lucinda Brant penned a Georgian romance novel inspired by the arranged marriage of the 2nd Duke and Duchess of Richmond. You can pick up the free-for-now eBook from Amazon.